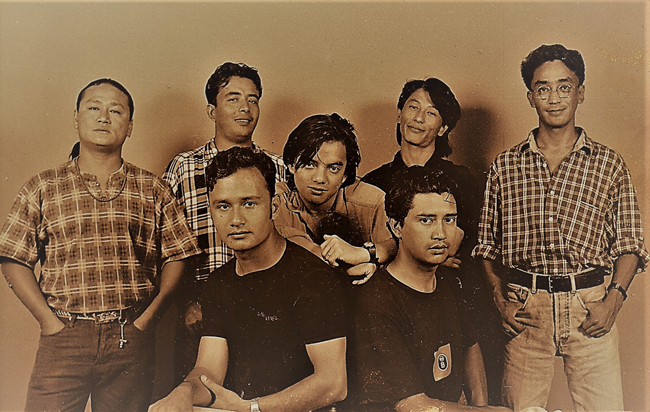 KATHMANDU, March 30: Popular band Nepathya is turning 25. As per the date, the bands completion of 25 years will fall on April 1 2018. But since the band enters its 25th year starting April 1 this year, the band has decided to celebrate it as ‘Nepathya’s Silver Jubilee Year’. Several activities, including periodic releases of new songs and videos have been planned as part of the celebration. In addition, several videos of old songs will also be released. The band has also decided to dedicate this year to all the Musical icons of Nepal, without whose contribution, Nepali music would not have reached its current pinnacle. As a mark of honor to the Adhunik Genre of Nepali music, Nepathya will support Nepalaya to restart their Paleti concert series. “We have been involved with several fields as part of our philanthropic activity,” said Nepathya front man Amrit Gurung. “On this important juncture, we want to be involved in supporting Nepali music and hence we will be involved with Paleti series through the year. Our band members had contributed their skills for Paleti during its initial period, now we want to support it for its continuity,” he added. As the band is heading for their silver jubilee year, a pleasant coincident has come along. 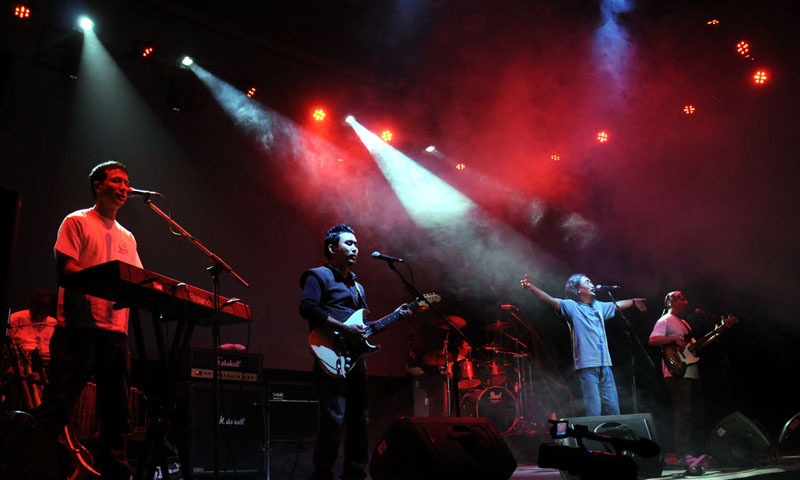 Nepathya will be performing at their hometown Pokhara on April 8. “I am delighted, for our upcoming show at the Pokhara Stadium on April 8,” said Gurung. “It is a pleasant coincident that our Silver Jubilee calendar will kick off from a show in our home town,” he added. 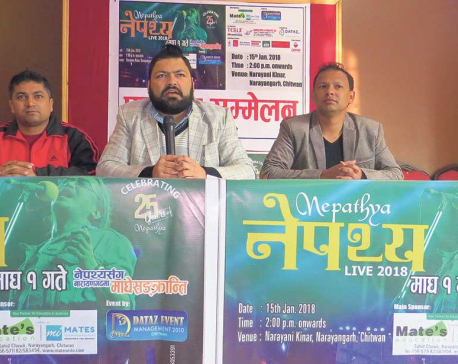 ‘A group that was initiated by three boys from Pokhara has reached this stage with contribution from more than 20 musicians, who have been a part of Nepathya journey. I am indebted to all for their contribution’, added brand front man Gurung. As part of the silver jubilee activity, Nepalaya is also planning a Biography of Nepathya. “Nepathya’s biography is being written by Amrit Gurung.” disclosed Kiran Krishna Shrestha of Nepalaya. “Amrit has been working on this for some time and we plan to release it during the coming year,” he added. With an intention to take Nepathya to new places, the band plans to prioritize shows in places where it has not yet performed.